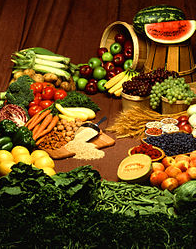 Question: Can the Mediterranean Diet be used as part of a healthy weight loss program? Answer: Yes, it certainly can. It has proved to be a successful strategy for healthy weight reduction. So called because it is based on the traditional dietary patterns of countries such as Greece, Southern Italy, and Spain, don’t believe it is a fad diet. It is a modern nutritional program, scientifically researched over time. It embraces certain types and amounts of food and research has shown that, eaten over a lengthy period of time, it can reduce the risks of developing cardio-vascular and other heart related diseases. It is also believed it is effective in reducing the risk of developing diseases such as cancer, Parkinson’s and Alzheimer’s disease, type 2 diabetes and high blood pressure (hypertension), while helping to lower bad cholesterol. You don’t need a degree or diploma in Greek, Italian or Spanish cooking to produce healthy and inexpensive meals. 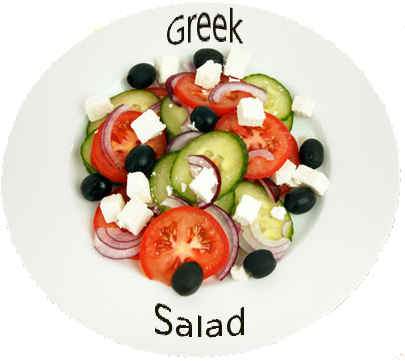 Delicious meals to suit individual tastes using ingredients that fit the Mediterranean Diet can be made, as there is no all-encompassing or single ideal Mediterranean Diet. Although there are similarities in the diets of most Mediterranean countries they do tend to vary, even in the same country. For instance, while Southern Italy uses very little (if any) saturated fat for cooking and uses mostly olive oil, Northern Italy use mostly butter and lard for cooking and olive oil is used mainly for dressings on salads and cooked vegetables. In countries such as Egypt, Malta and Israel, olive oil is hardly used at all. how did the modern Mediterranean Diet come about? After a number of years investigating deaths from heart disease in various countries, Professor Ancel Keys, an American biologist and physiologist, published a report in 1980 detailing his findings. He found that Mediterranean countries, including Greece (particularly Crete), Italy, Spain, Croatia and even Japan, all had a significantly lower death rate from heart disease than countries like the US, UK and Finland, once the world’s highest for deaths from heart disease per head of population. Wondering why this was so he decided to look into the lifestyle of people living in Mediterranean countries and why they lived longer and had significantly lower numbers of fatalities and people suffering, from heart diseases than many non-Mediterranean countries. It had already been established that smoking, lack of exercise, and stress could all contribute to the onset of heart disease and, as these were common to most countries, there had to be another factor as to why the population of mainly Mediterranean countries lived longer and enjoyed better health than most. Professor Keys then decided to look more into the lifestyle of various Mediterranean countries and found that the majority of them had one thing in common: their approach to food and diet. He realized that the eating habits of these countries were traditional, possibly dating back to early civilization and consisted mainly of fruit and vegetables, with new varieties being discovered or developed and added to the diet over the centuries as agricultural methods improved. He also found that they cooked mainly with oil extracted from plants and not animal fats. Armed with this information he began to test for foods to find which ones had particularly health giving properties, many of these foods have now come to be known as “super foods”. He also found some other interesting facts: That red meat, eggs, sweets and sweet desserts were only consumed in small quantities, if at all, while moderate quantities of fish, white meats, low-fat dairy produce, and nuts, were the norm. Regardless of the impression, which many have, of these countries as being wine-guzzling, it isn’t strictly true. Unless it’s to celebrate a special occasion most treat wine with respect and drink it in moderation. 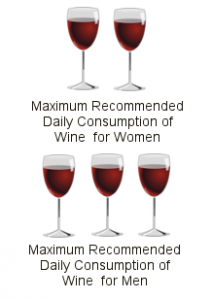 The recommended daily wine consumption (preferably red) is 1-3 units for men, and 1-2 units for women, taken with meals. Other major benefits of following a Mediterranean-style diet are the lack of salt and saturated fat used in cooking. Instead of salt, various herbs are used to flavor dishes and mono and polyunsaturated fats are used instead of saturated fats. It is well documented that excessive use of salt is a major contributor to high blood pressure and high levels of dietary saturated fat certainly aren’t conducive to a healthy heart. Although fat is important as part of a healthy diet, if on a weight loss diet it is best kept to a minimum as one gram of fat, whether it be saturated or otherwise, contains nine calories. Yes things have improved, although heart disease is still the number one killer many countries. Since the 1970’s heart-related diseases have been reduced by around fifty percent in the US and UK and around eighty percent in Finland. Encouraging as these figures may be, with a population of 350 million there are still around 600,000 deaths attributed to heart disease annually in the US. The UK, with a population of 65 million, around 83,000 deaths from heart disease are recorded annually, and in Finland about 200 in every 100,000 die from heart disease. Many claim the improvement over the last thirty years in the survival rate of people who have suffered heart attacks is due to more advanced drugs and better after care. This may be true, but wouldn’t it be better if some of these people who survived a heart attack, and will probably be on drugs for the rest of their lives, had been better educated into leading a more healthy lifestyle? While accepting that there will always be people who will suffer heart attacks due to genetic defects, would it not be better if some of the vast sums of money spent on developing drugs to treat heart disease, and many other diseases for that matter, be better spent on educating people how they may avoid them in the first place? Is not prevention better than cure? Or do the pharmaceutical conglomerates prefer shutting the stable door after the horse has bolted to protect their sometimes obscene profits and keep shareholders happy? If you want to see what educating people into leading a more healthy lifestyle can do, look no further than Finland. During the 1960’s, Finland had the unenviable title of the world’s unhealthiest nation with deaths from heart disease at record levels. This started to change when, in 1972, with the cooperation of local communities, medical advisers and the local university, the Finnish, government launched one of the most intense long-term campaigns to educate the population into leading a more healthy lifestyle. Prior to the campaign, the average diet in Finland included just about everything that invited a heart attack and early death. 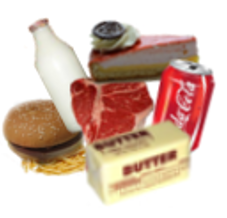 The staple diet consisted of everything that is anathema to a healthy heart: high fat spreads on bread, full-fat milk used in coffee, tea and other beverages, too much fatty meat and junk food. Vegetables were never eaten as they were considered only fit for animals and not real men. This, along with a largely sedentary lifestyle and smoking was how Finland used to be. Not anymore. Its citizens are now among the healthiest and fittest on earth. Deaths from cardiovascular heart disease have dropped by around eighty-three percent. A healthy diet and physical exercise are now a normal part of the Finnish daily routine. Deaths from lung cancer have dropped by a similar margin and life expectancy has increased by an average seven years for men and six years for women. Is the Mediterranean Diet really that effective in keeping healthy and living longer? Judge for yourself. Professor Keys lived in southern Italy for twenty-eight years and practiced a Mediterranean-style diet. He was still active at ninety-seven years of age and died on 20th November, 2004, just two months short of his one-hundred-and-first birthday! Any figures quoted in this article have been taken from records that have been placed in the Public Domain by the health authorities of various countries and the author makes no claim as to their authenticity.